Life can be so unpredictable. We were living the American Dream. Like so many others, we owned a beautiful house in the suburbs, both worked full-time and (in our case) watched our twins making their way through college. Then, it what seemed like overnight, everything changed. We found ourselves dealing with long-term unemployment, reduced business revenue and mounting debt. 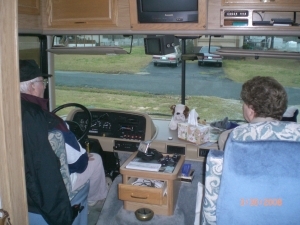 I used to look forward to my in-laws Pat and Ski visiting us each year around May in their motorhome on route from Maryland. 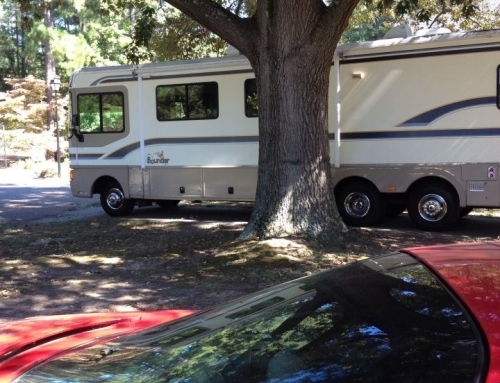 They would park in our driveway and tap into our electric to spend a few days before continuing to their destination in Key West. 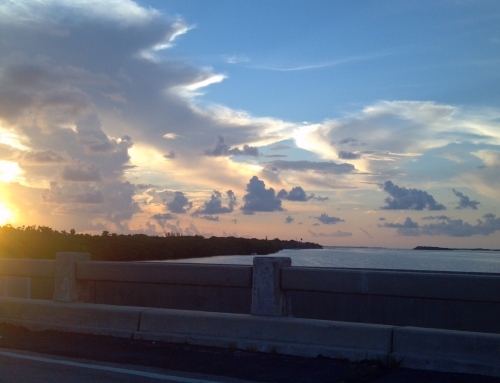 Off to enjoy a month or more of RV living in the Conch Republic reconnecting with friends. How Mary and I daydreamed that someday that would be us. We could not have known how quickly that day would come. Last year Ski passed away. The motorhome had not been used for a year prior due to his illness. Around that time Mary and I were facing the reality of selling the house. 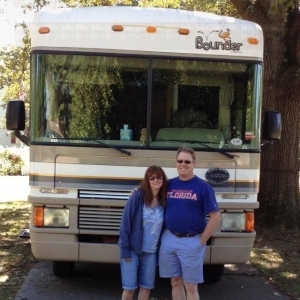 We had always hoped that one day we would inherit the motorhome and hit the road to live the ‘other’ American Dream. Thanks to Pat, that day became a reality. We took the plunge on February 15, 2014. One thing we had going for us was my business. As a Graphic Designer I knew I could work from almost anywhere as long as I had a decent Internet connection and a mobile phone signal, and I am happy to report so far so good. Mary is working again full-time so we are staying close to ‘home’… for now. 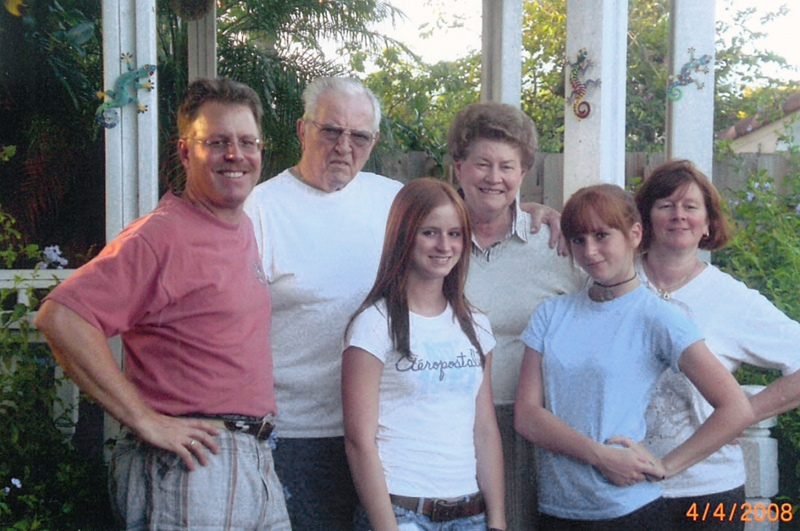 We have had many conversations with Pat since Ski left us, she is the best mother-in-law a guy could ask for. She told us how Ski wanted to live his final days traveling in the RV. Mary and I look forward to the adventures ahead as full-time RVers traveling in our new home, lovingly named Living Ski’s Dream. Nice going, living the life, Brock Obama said: “Hope and Change” translation; “No Hope and No Change” (Money) you took a negative and turned it into a positive, we Agro’s are good at that, when we were young and Dad failed, we stood together and made it work then too. “Lot’s of Luck” as Dad use to say. Change is what you make of it. You only go around once (that we are aware of) so you better make the best of it, not matter the circumstances. Thanks for your comment Chip! Hi Tammy! Thanks for that. I look forward to reading your comments. Lots of places we have never been, it is a fun ride! I really enjoyed your blog and find it very appealing to look through your eyes in photos. I too shall follow your blog. And if you are ever in Indiana!!!! Hod opens doors for us I’m glad you went through thus one.